Raavan was a very learned man and a great warrior. Though he abducted Sita, he never once touched her and paid due respect to her. In spite of all these qualities – wisdom, bravery and a strong character, how come he lost to a small army led by Lord Ram? Maharishi Valmiki indicates in the Ramayana that it was his ego that caused Raavan’s downfall. In the world of investing, there are many experts – highly qualified, skilled and experienced – and yet unable to see certain obvious risks. The ego and overconfidence blind these wise men. 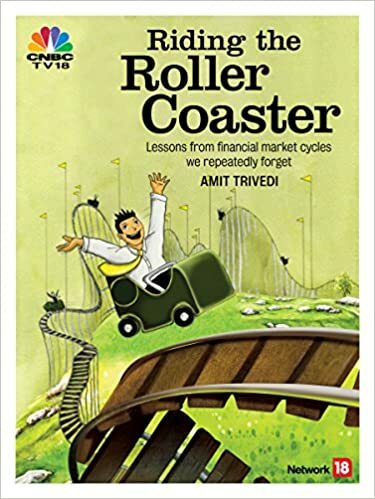 This is an important lesson from the book “Riding The Roller Coaster – Lessons from financial markets we repeatedly forget”. While this applies to the experts, even the laymen get swayed by overconfidence. Under the spell of ego, we start believing in our invincibility. And then as the popular phrase goes: “Pride cometh before the fall”, meaning pride often causes the fall from grace. Learn from the story of Raavan. Check your ego. Stay grounded. Dussehra is also known as Vijayadashami (a day of victory). May you win all the battles and wars against your own emotional Raavans this Vijayadashami. May this Dussehra bring lots of prosperity in your life. “Success in business doesn’t just show up on the bottom line of the profit-and-loss column; it also goes to the top. Success in business inflates the egos of top management. Supremely successful companies believe they can launch any product into any market. They can make any merger work. It’s just a question of having the willpower and the resources to throw into the task. What is it that we want to do? is the question that management usually asks itself. The above paragraph talks not about the skills and abilities of the successful managers. It talks about the way the human brain works. Success leads to confidence – that turns into overconfidence – which inflates the ego. Ego blinds the brain and misguides it. It’s all in the mind – after all. Now replace successful top managers of a successful company with a successful investor and you see the point that I am making. The moment an investors gets small successes, the “success-confidence-overconfidence-ego inflation-mistakes-fall” cycle must follow. Very often, the success of an investor is not a function of what the investor was capable was, it’s a function of the investor being at the right place at the right time. To make it short, “investor was at the right place at the right time” can be replaced by the words “investor was lucky”. This can be turned to the investor’s benefit if the investor adds some steps to the cycle. The cycle should not end at the “fall”, but continue from there to “… fall-learning the right lessons-taking the right actions-success”. May 31, 2016 Amit Trivedi Nuggets from the book	circle of competence, crowd-funding, Economic Times, exclusive, Greed, hope is a bad investment strtategy, Invest within your circle of competence, luck, lucky, overconfidence, regional movies, risk, risky, start-up, startup, Startups, too much money, Warren Buffett, where to invest? This looks like an interesting development. Another “new” thing has cropped up. Some regional language movies are doing great – low cost and high revenues – amazing success stories and very high RoI (I mean, return on investment). Many investors are looking at the “alternative” investment to “diversify” their portfolios and at the same time earn very high returns. Even start ups have come up to help people channelise their money into such ventures. This seems to be great for regional movies, at least. There are many talented movie-makers, who could not compete against the mega-star, big-banner movies with deep pockets. Now, they seem to have found their source of funding. Well, here is the caveat for the investors. This seems to be another case of “too much money, where to invest?” for the investors. Once one has run out of investment options (psychologically, at least), we start searching for newer options. If you get success in some early investments, please be even more careful. The chances are that you might simply be lucky. However, we love to attribute all the success to our superior abilities – that is a human tendency. This would build your confidence, which eventually turns into overconfidence. This overconfidence in one’s abilities leads to the search for even more risks. One tends to start looking at something that nobody is looking at – the spirit of adventure in us wants to seize this opportunity. And we leave the shores and dive into the deep seas. Just as a side note, please check why did you think of investing in movies? Is it because nobody else was doing it and you wanted to take the early-mover advantage? Or is it just that someone told you this was “exclusive”? The combination of overconfidence, exclusivity and greed lead us to take interesting decisions. If I cannot identify the next money-spinner or if I do not know someone who can, it is imprudent to put my money on the block. That is not an investment, then. It is hope – a really bad investment strategy. In the event of an investor recognising one’s inabilities to spot the right investments, the tendency is to look for what is cheap. This could be another trap. Be careful. Understand the economics of the business before investing your money. If you don’t, stay away. Warren Buffett has famously said, “Invest within your circle of competence. It is not how big the circle is, it is how you define the parameters”. AIG – Was it overconfidence? AIG was bailed out by the US Government roughly a year later. AIG, then one of the largest insurers in the world, was expert at insuring what are known as the insurable risks – life insurance, property insurance, etc. These risks are such that history is a good indicator of what to expect since most risks do not manifest together. Not all insured would die simultaneously. History suggests that even in case of wars, natural calamities or disease outbreaks, the number of deaths are not unusually high. This turns out to be astable business for the insurers. During the great liquidity rush, practiced by the US Federal Reserve Bank under the chairmanship of Alan Greenspan, the financial intermediaries found a very lucrative opportunity to make money – insuring against the default risks of borrowers. Thus came the CDS or the Credit Default Swaps. These risks were very different from the insurable risks we discussed earlier. There is a higher possibility that an unusually large number of borrowers may default together, if the economic conditions change, e.g. interests rise – thus making the floating-rate home loans costlier to service or if the house prices fall – thus reducing the value of the house collateral less than the outstanding loans. This was (probably) not understood by AIG FP or to respect their financial acumen, one may say that they preferred to ignore the risks. Was it overconfidence in their abilities? Be careful of the overconfidence. It can lead one to make very costly mistakes. In the photograph here, I have draped a live python around my neck at the night safari at Singapore. The fact that I am alive means that nothing happened to me – I did not lose life. Does it mean I did not take any risk at all? Same thing happens with investments. One tends to get confident when nothing untoward happens to the investments even when one has taken risks. this confidence soon turns into overconfidence. This overconfidence in one’s abilities leads to the search for even more risks. One tends to start looking at something that nobody is looking at – the adventurous in us want to seize this opportunity. And we leave the shores and dive into the deep seas. Even when the risk is clear and present, common investors and experts alike often believe in their ability to get out unscathed. “This cannot happen to me.” – is a common belief.